Updated Monday July 24, 2017 by Citrus Park Sports Association. 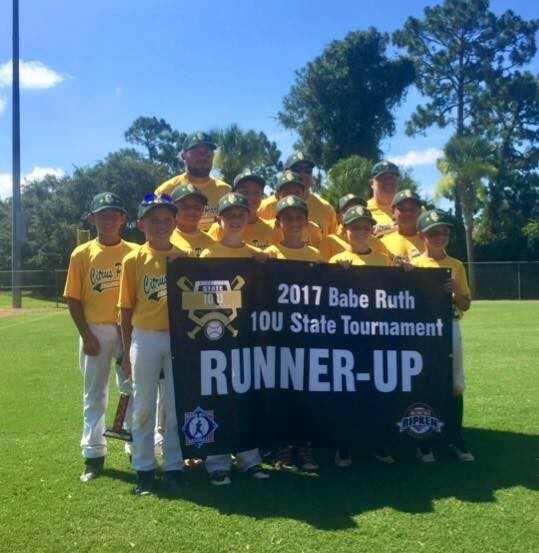 Citrus Park 10U All-Stars finished second in the Cal Ripken Florida State Tournament in Oviedo this past weekend, coming up short 3-1 in the championship game. The boys played a week of great baseball, allowing only nine runs throughout their five games with excellent pitching and defense. Great job, Citrus Park!